Irish folk singer-songwriter Luka Bloom will spend this weekend at Memo Music Hall in St Kilda and while he stands alone for his original work, his covers reinvent the originals. 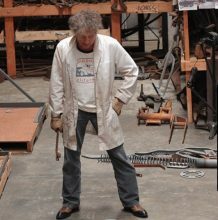 Don Walker will bring his songbook for Memo Music Hall in St Kilda in August when he presents ‘Songs Live’. 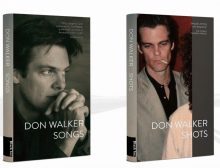 Cold Chisel’s master songwriting craftsman Don Walker will release two books ‘Songs’ and ‘Shots’ in July. 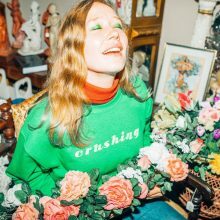 Australian singer songwriter Julia Jacklin is a realist when it comes to working in the Pop dominated music industry. 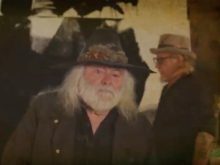 Fans heading to any of the Bob Evans shows around Australia in March will be treated once again to Bob Evans’ Song Raffle. Ed Sheeran’s tour promoters are facing a lawsuit over an Indonesian gig he cancelled after suffering a broken arm. Ed Sheeran’s request to dismiss a lawsuit alleging he ‘stole’ elements of Marvin Gaye’s Let’s Get It On for his 2014 hit Thinking Out Loud has been shot down by a U.S. judge. Damien Rice will perform again in Australia next year for the first time since 2007. Cat Stevens will donate over $1 million to charities around the world from his ‘A Cat’s Attic – Peace Train Tour’ with a number of Australian charities becoming beneficiaries. Missy Higgins has released the song ‘Arrows’, a new that will be featured on her upcoming greatest hits record ‘The Special Ones – Best Of’. Australian singer songwriter Marie Wilson will return to Melbourne in December for a show to mark the 20th anniversary of her ‘Real Life’ album. Hot on the heels of performing his 100th concert at Madison Square Garden on July 18th (during which Bruce Springsteen showed up, and the pair sang duets of “Tenth Avenue Freeze-Out” and “Born to Run”), Billy Joel returned to perform for his fifth straight year at Fenway Park in Boston, Massachusetts on August 10, 2018. Vance Joy is involved in an American music initiative to put ukuleles in the hands of children. Yusuf Islam (aka Cat Stevens) has entrusted his entire songwriting catalogue to BMG Publishing as well as various gems from the recording “Cat-O-Log’ with nine albums dating back to 1976. 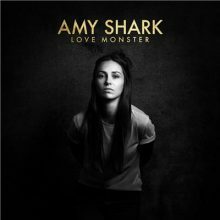 Queensland singer songwriter Amy Shark has grabbed the number one spot on the Australian chart this week with an album that is actually selling. Sydney singer songwriter Alex Lynn (aka Alex The Astronaut) has released ‘Waste of Time, A song she wrote in London, as her new single. After six amazing days of music spanning from pop megastars in Bruno Mars to rock royalty The Cure, the final show of this year’s British Summer Time Hyde Park was headlined by the great Paul Simon – performing the farewell date of his last tour, ‘The Farewell Performance’ (outside of North America). 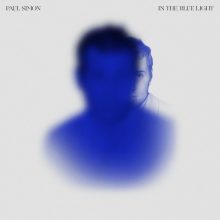 Paul Simon has gone back to the studio to make a new album with old songs. 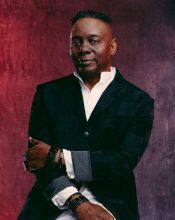 Songwriting and producer legend Nile Rodgers has been appointed Chairman of the Songwriters Hall of Fame. 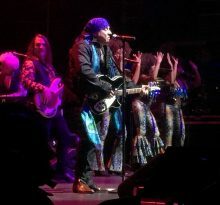 Paul Simon says he has just one more tour in him and he opened it on Wednesday (May 16) night at Rogers Arena in Vancouver. Elton John will reportedly be performing at Meghan Markle and Prince Harry’s wedding this weekend, after finalising plans following months of rumours. 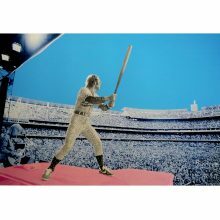 Elton John is earning some pocket money selling signed limited edition prints from his 1975 Dodger Stadium concert for £4400 ($US5961, $AUD7931). Elton John’s son Zachary is playing youth soccer for the singer’s beloved Watford Football Club.